Development teams everywhere use Jira. That’s why Perforce offers strong integration to Jira. By integrating Perforce and Jira, you’ll get visibility across development. You won’t have to constantly jump between applications. And your team will be able to collaborate more effectively. 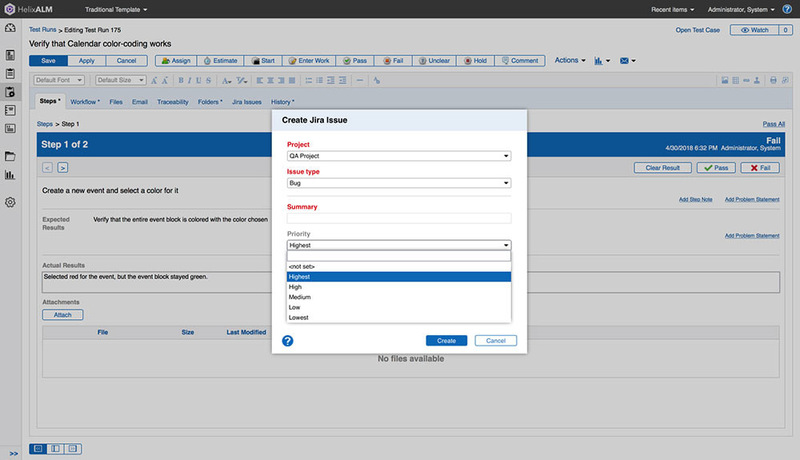 When you integrate Perforce products and Jira, you’ll be able to sync issues automatically. That means your entire team will have status updates when and where they need them. Important metadata — such as source code commits, build results, or schedule changes — will be updated across both products in real-time, too. 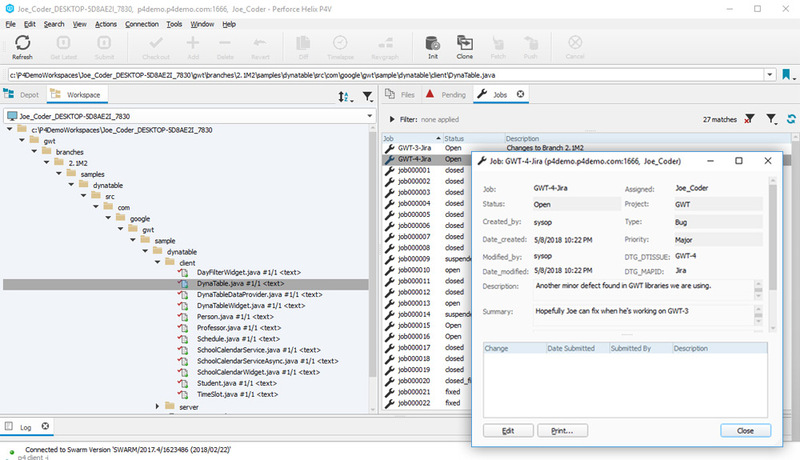 Helix Core is version control software. Development teams use Helix Core to securely manage all digital content — even large files — in a single repository. And it’s also used to deliver files quickly to large, distributed teams. You can sync Jira work items with Helix Core jobs. Whether you’re in Helix Core or Jira, you’ll get an accurate status on your work items and jobs. Helix Swarm is the code review and collaboration tool for Helix Core. Developers use it to work together on code reviews — even if they aren’t in the same office. You can link code reviews and committed changes in Helix Swarm with Jira issues. Whether you’re working in Helix Swarm or Jira, you’ll always be up-to-date on code reviews. Helix TeamHub is a code hosting platform that scales Git for teams managing large, multi-repository projects and enterprise DevOps. Helix TeamHub also supports Docker, Maven, and Ivy for built-in artifact management and improves Git build performance by up to 80 percent. You can sync your code commits in Helix TeamHub with Jira workflows and Jira issues. No matter whether you’re working in Helix TeamHub or Jira, you’ll get instant visibility over your product status. Helix ALM is an end-to-end ALM tool. Development and QA teams use Helix ALM to get traceability across the development lifecycle — from requirements to tests to issues. You can easily sync issues between Jira and Helix ALM. And you can add testing and requirements management to Jira. No matter whether you’re working in Jira or Helix ALM, you’ll get instant visibility across your development lifecycle. Hansoft is a collaborative enterprise Agile planning tool. It helps cross-functional teams plan, track, and manage their work at scale. Whether developer, manager, stakeholder or executive, everyone can iterate together sharing a single product backlog. 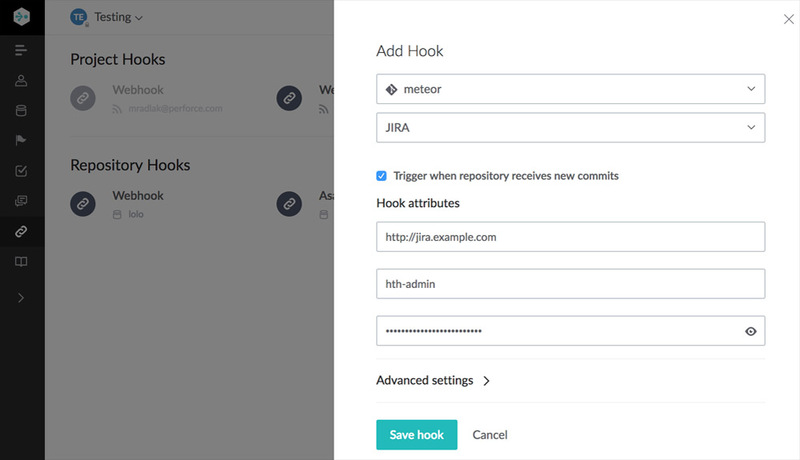 You can sync issues between Hansoft and Jira — and automatically map workflows between products. So, teams can keep working in Hansoft. Helix QAC is a static code analysis tool for C and C++. Developers use Helix QAC to comply with coding standards and find bugs earlier in development. Helix QAC generates warnings. 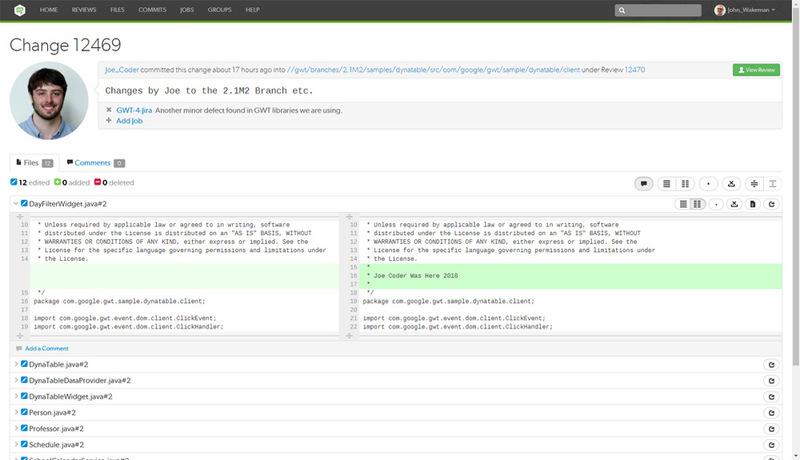 You can use the dashboard to annotate your source code using those warnings. It even lets you add your own notes. 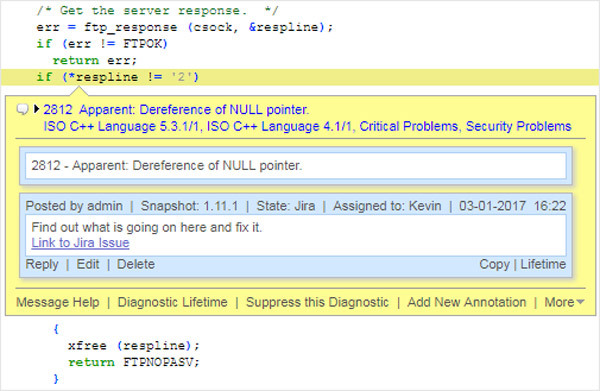 Code annotations can be exported from Helix QAC’s dashboard to Jira issues. A Jira issue will include a link back to the annotation on the dashboard. So, you’ll be able to view your Helix QAC analysis results in the dashboard. Defects can be linked with Jira issues. That means developers can work off Jira tasks to fix problems in the code. 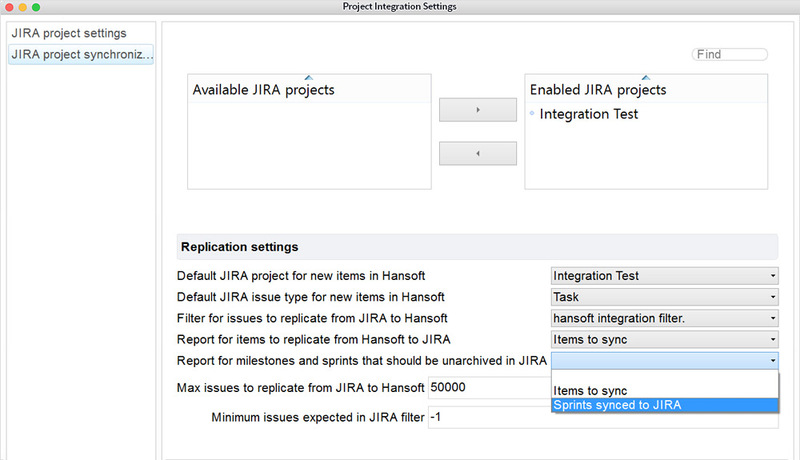 This Jira integration makes it easier to keep teams in sync across development. Have Questions About Perforce and Jira Integrations? All you have to do is ask. Contact us for more details on how Perforce integrates with Jira for visibility and better collaboration across teams.